・I’m terribly sorry. I didn’t mean to trip you up. ・He deliberately tripped me up. 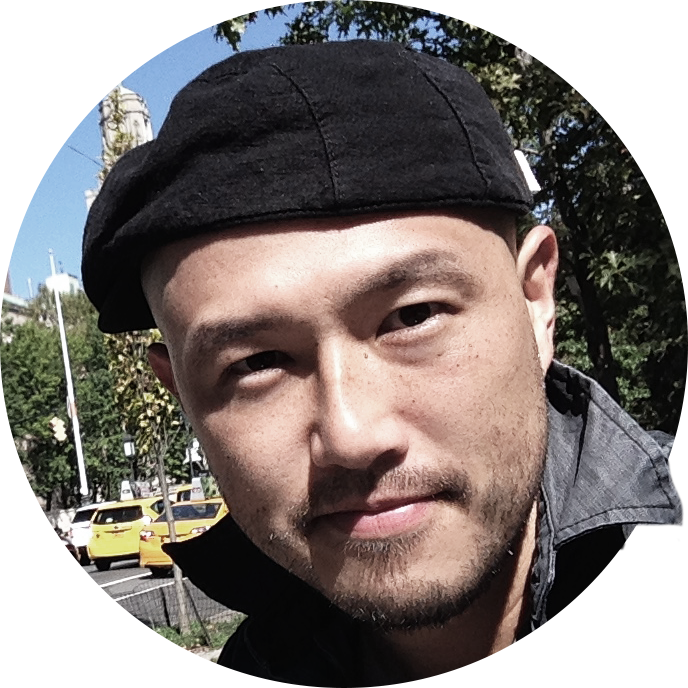 Perhaps, this short video proves that such a statement rings true in some cases. However separating her from the person filming, presumably her father, is a black and white cat. 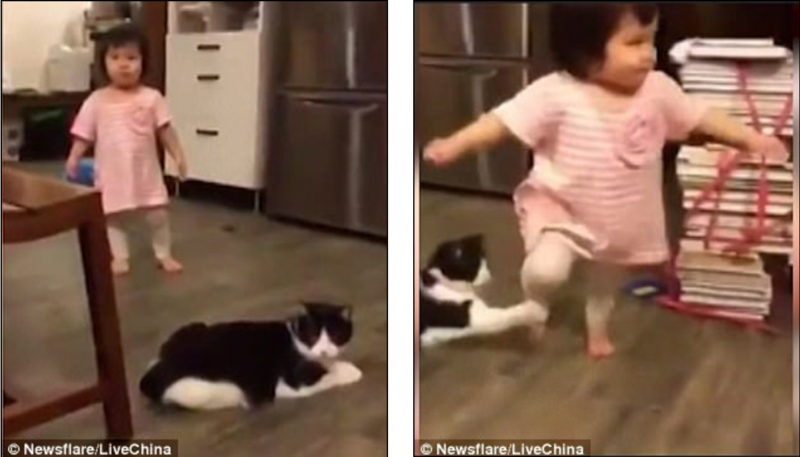 The girl immediately pointed to the feline behind and says a few inaudible words, suggesting she knew the cat tripped her up and by the looks of it, on purpose. 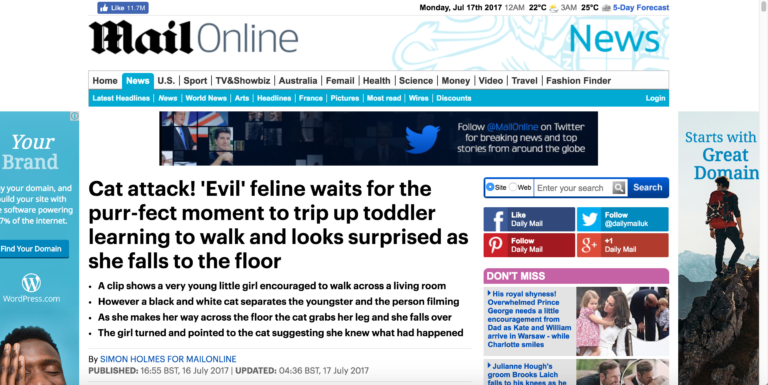 The baby then crawls along the floor and the cat meows loudly, looking unremorseful and shocked that she had fallen down.